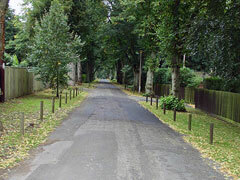 Looking east down Rotherfield Road towards its entrance along Harpsden Way. 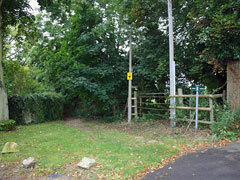 The entrance to a footpath that leads to Harpsden at the top of Rotherfield Road. 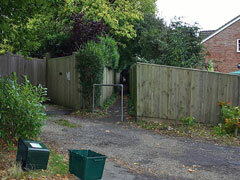 The entrance to a footpath that leads to Drawback Hill at the top of Rotherfield Road. 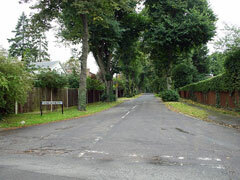 Looking west up Rotherfield Road from its entrance along Harpsden Way.